Dr. Castro-Flores has been part of Mt. San Rafael Hospital team since 2006, serving as an internist and geriatric physician in our Rural Health Clinic. In addition to her Hospital Clinic responsibilities, Dr. Castro-Flores also provides services for the Trinidad Nursing Home. 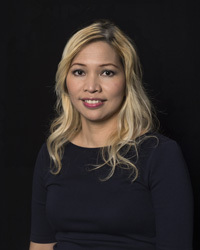 Dr. Castro-Flores received her bachelor's degree in psychology from the University of the Philippines located in Diliman. She received her medical degree from the University of the Philippines located in Manila. She then completed her residency in internal medicine at the SUNY Downstate Medical Center located in Brooklyn, New York. She also completed two fellowships in geriatric medicine at St. Vincent's Hospital located in Manhattan, New York. Dr. Castro-Flores is fluent in Spanish and Filipino/Tagalog and is board certified in internal medicine. Dr. Castro-Flores aims to help her patients achieve the best of health without compromising quality of life. Her additional training in geriatrics enables her to give attention to the needs of elderly patients. Dr. Castro-Flores treats a patient like they are in a small team. She and the patient both contribute for the individual patient's optimal well-being. Both listen to each other and need to work with each other to arrive at healthcare decisions in the patient's best interest. Dr. Castro-Flores treats with evidence-based medicine, but she individualizes when the need arises. Trinidad is a caring community. People treat each other like family here. Dr. Castro-Flores is honored to help with our community members' healthcare needs and hopefully touch their lives, for the better. Dr. Castro-Flores enjoys photography, traveling, and spending time with her family; Dr. Jun Flores and their two sons.